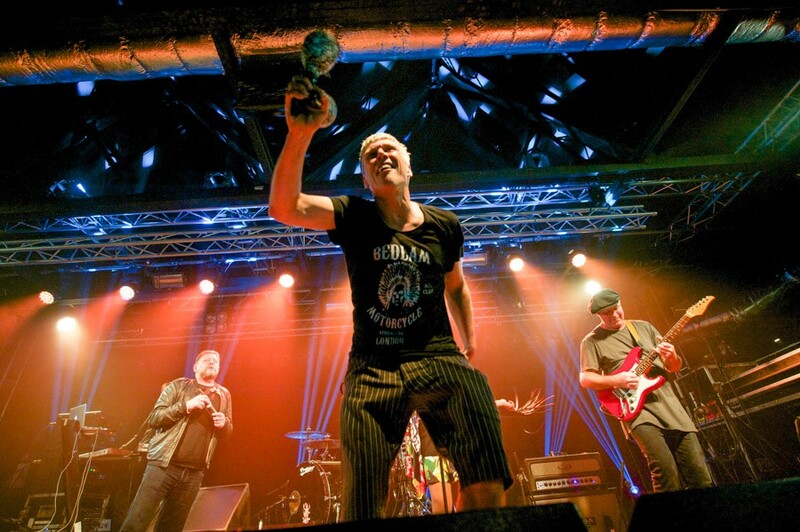 the UK and Ireland including a December date at Liverpool’s Olympia on December 1, it seemed the strange tale of one of the UK’s most notorious bands was set to continue for at least another few months. While it’s hard these days to look past their current status as little more than national treasures with a penchant for reality TV, there was a time when the Mondays were one of this country’s most vital bands, enthralling a generation with a sound that remains of the most unique in British music history. They all but invented indie dance, toured the world, took a shed load of drugs and in Shaun Ryder produced one of the finest lyricists of all time. All that elements that made the Mondays so uniquely brilliant were all there on their first single, the aptly named Freaky Dancin’. Funky, almost-African sounding guitars and Hammond organs, wayward sequencers, a dislocated rhythm section and surly sardonic vocalist. 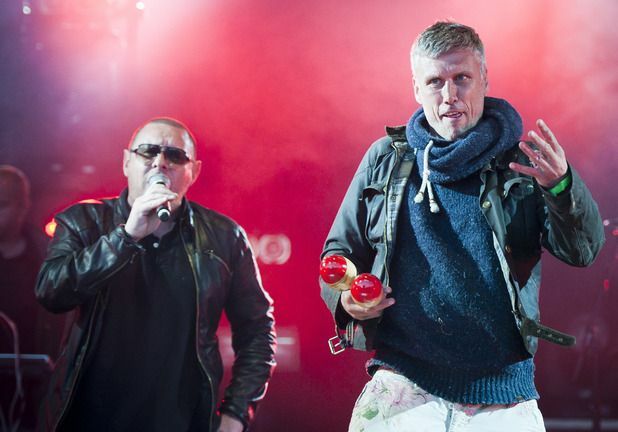 The song gave its name to Bez‘s excellent autobiography. 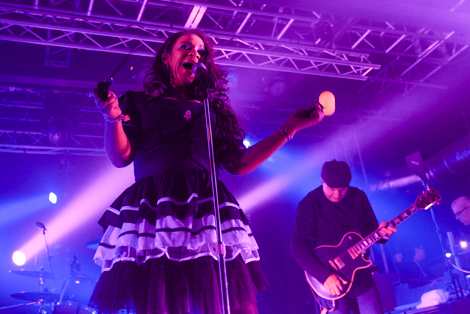 The title track from Happy Mondays‘ 1987 debut album Squirrel And G-Man Twenty Four Hour Party People Plastic Face Carnt Smile (White Out) has become one of the band’s best known songs due to it lending its name to the 2002 film which told the story of Factory Records and the Manchester music community. Lyrically it’s a neat manifesto of a band who were just starting to find their groove in the world of intoxicants. The Mondays‘ debut is full of lesser known gems which belie the band’s own unhappy experiences recording it with ex Velvet Underground man John Cale. Cale, who was attempting to come off drugs at the time had taken to chain-eating tangerines and his understandably up-tight approach was somewhat at odds with band’s at the time. On Tart Tart though, Cale turns the Mondays‘ loose-limbed indie funk into something gloriously groovy: witness the fabulous Can-esque intro. The odd, uneasy atmosphere of the song ties in with its subject matter: an ageing female groupie who the band would buy drugs off and who later died of a brain tumor. Bummed was the album where the Mondays‘ discovered E and it shows most noticeably in the remixes that followed the album’s release. The pick of these is the mighty WFL which even manages to improve on the mighty original. Paul Oakenfold is at the helm for this epic banger and unsurprisingly the band were quick to sign him up to produce their next album. As perfect a time capsule as it’s possible to get the Madchester Rave On EP was released in November 1989 on Factory Records. 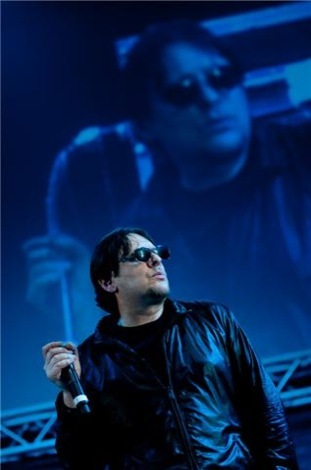 The lead track Hallelujah became the band’s breakthrough release, reaching the top twenty in the UK and leading to the band’s first Top of the Pops appearance where they appeared alongside the Stone Roses playing Fools Gold. It genuinely felt like the world had changed. For ever. Originally intended as a contribution to the Rubáiyát: a 40th Anniversary compilation for their US label Elektra, so pleased were the Mondays with their cover of John Kongos‘ 1971 UK hit they decided to keep it to release as a single, and instead covered Kongos‘ Tokoloshe Man for the compilation. Step On became their biggest-selling single, peaking at No. 5 in the UK and even making it on to the Billboard Hot 100 chart at No. 57. An all time classic it’s become the band’s most recognisable song and provided when one of the era’s defining images of Ryder clambering over a huge ‘E’ in the song’s video. The Mondays‘ other huge hit from 1990’s Pills n Thrills n Bellyaches album was originally called Groovy Afro but the band changed it when The Farm came up with Groovy Train. Arguably the first time they’d ever written a commercial song (Paul Ryder claims it’s influenced by Hot Chocolate) they were rewarded with a huge hit both here and in the US. Recorded with Ryder using one of Frank Sinatra‘s old microphones, its opening line of ‘Son, I’m 30, I only went with your mother cos she’s dirty’ remains one of Ryder‘s most quoted. As bright and bold as its iconic cover, it feels as if every song on Pills n Thrills could have been a single. Of those that weren’t, the downright strange Grandbag’s Funeral is properly the pick due to Mark Day‘s fantastically sprawling guitar and a middle eight section which explodes from nowhere.